Google is continually revolutionising how their search engine algorithms run. Optimising their search results to better suit both their audience and strict quality scores. However, what might provide better results for viewers and users, can ultimately have a negative impact on businesses and their strategies. So, when Google announced at the end of 2015 they were launching a new mobile web coding project, technical experts paid attention. The new project, called Accelerated Mobile Pages (AMP), was designed to improve the performance of the mobile web. Now officially launched and effective in the online community, it is having a significant impact on a website’s ability to rank when viewed on a mobile or portable device. This project encourages developers to utilise specific codes that Google recognises and has collected within their open-source coding library. 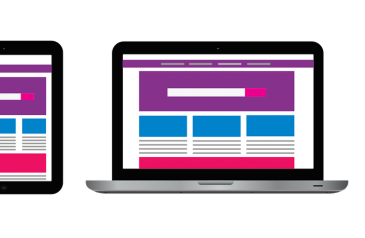 The end result is a stripped-down version of your business website, without many additional features that make viewing on a mobile device difficult. Typically known as a ghost website, the AMP functionality speeds up sites on mobile devices in response to the increased mobile searches and users. However, AMP does not replace the importance of developing a responsive design for websites instead it works alongside responsiveness for the best results. In fact, visitors will not automatically load an AMP website version simply by visiting from a mobile device. The AMP software instead takes effect when a viewer is coming from a platform like Google search or Twitter’s native browser, similar to Facebook’s Instant Articles. Just as Facebook’s Instant Articles saw a spike in traffic to the linked pages, Google’s AMP pages are touted to provide the same benefits. Why should you incorporate AMP? As we have mentioned in previous blogs, almost 80% of customers turn to the internet to discover more about a subject or product before seeking out a physical store. This is why developing your digital presence to handle customers and viewers wherever they are, is so vital to your online success. In our experience as an SEO company our Melbourne customers who implement AMP, have already started finding higher CTR rates, views and ROI conversions. The results speak for themselves. With a better user experience, viewers are spending longer and engaging more with the sites, leading to amazing conversions. As a Google project, AMP pages get a boost in search engines, ranking better for their targeted keywords and SEO strategies. Google also plays favourites, placing AMP pages before even local search results. All these things have caused other non-AMP pages to drop in impressions and CTR, sometimes completely disappearing from the first page! An easy example is content rich news sites like the New York Time, Huffington Post and Buzz Feed. These sites, along with several competitors, have all implemented AMP profitably on their websites. Just loading an article on these sites is an instant miracle and ensures their audience does not lose interest when attempting to load pages. Given that the bounce rate is over 50% when a web page takes more than ten seconds to load, AMP is quickly providing to be an important tool in engaging with customers in this modern age. So, if you are sold on the benefits of Google’s AMP, then it’s time to look at implementing the tool into your mobile website. For sites that are more informational based on sharing or the viewer’s reading experience, implementing AMP will bring a big SEO boost. For sites like large e-commerce sites, the solution to deliver static content on top of such a big store is to create informational landing pages acting as a launching platform. AMP technology can also provide a bigger boost to SEO based content strategies, providing the best opportunity to turn your blog posts into powerful selling sections of your website. With many users preferring to turn to their mobile for ideas, blog posts are the perfect tool to take advantage of AMP for improving search engine results. Creating accelerated mobile pages is relatively easy for sites with simple architecture, particularly when using a platform like WordPress. However, the difficulties occur when the site has complicated features, detailed tracking tools or customer CTAs. Sometimes it can be hard to determine which category your website falls into, and it is only when something goes wrong that troubles are realised. If you are uncertain how AMP technology could affect your website, you know your site has a complex architecture, or you simply do not have the experience, tech tools or confidence. Contact us today for some experienced advice on AMP-lifying your pages. We are an experienced team of developers, designers and SEO marketing specialists, at One Stop Media. We also understand how to implement AMP in a number of different platforms, from WordPress right through to e-commerce stores and landing pages. Contact us today for a free initial consultation with some industry experts and discover how you could transform your brand’s online presence.